My mom used to make Paalak Parathas and i loved them. My MIL suggested Paalak-Paneer Puris as my hubby loves them. So i made them and Zini too liked them. 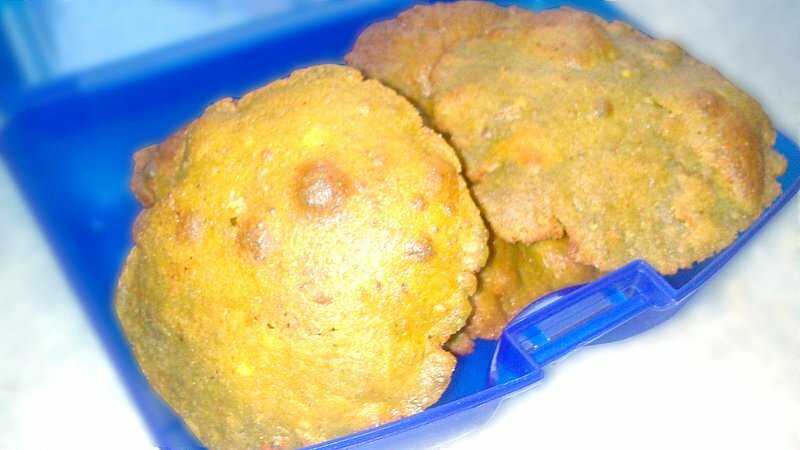 I have mixed the gujarati & punjabi versions of puris.I have tried this on friends, all of them loved these puris. I have tried making parathas out of the same dough, they too taste good. Recently on Lifesong’s post i suggested Palak-Paneer Puris, so putting up the recipe here. 1) Take wheat flour in a mixing bowl. Take flour in proportion to the palak-paneer subzi. 2) Add Oil and mix well. AFter that try holding the flour in your feast, there should be some bonding in the flour. 3) Now add salt, red chilli powder, turmeric, Dhania-Jeera Powder, hing and ajwain. 5) Now use Paalak-paneer sabzi to knead dough. 6) Make it tight enough so that you can roll puris without applying flour to that. 7) In case it has become a little softer than apply oil on belan and chakla and the dough balls to roll the puris. 8) Fry them in hot enough oil. 9) Take them out on tissue paper, as these puris tend to soak a lot of oil. If you don’t want to eat fried stuff then, you can make parathas/bhakhris out of the same dough. Tip: Crush Ajwain with your hands before adding to the dough for better aroma. They are healthy and tasty!! Perfect for kids' lunch box! !